Yay !! 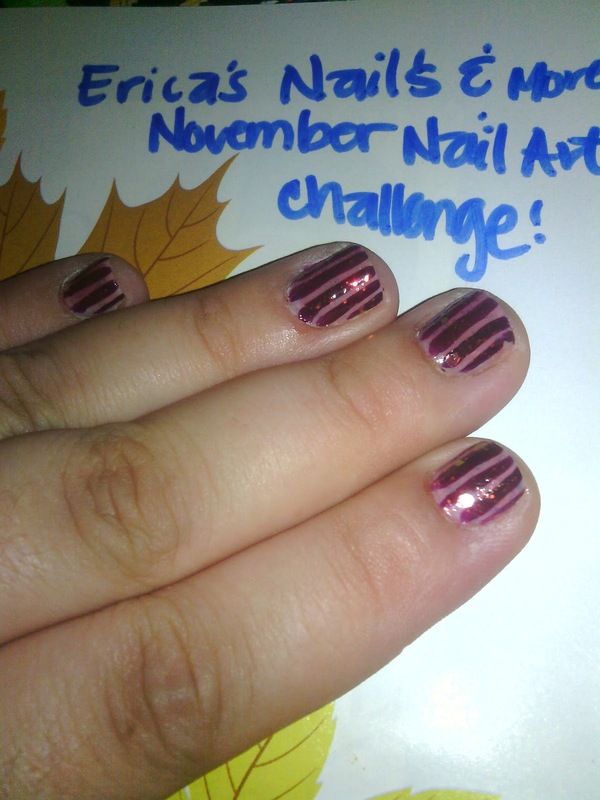 day 7 of Erica's nail art challenge, I have created a look that's beauty cannot be captured in these pictures. I used CND's cheeky as my underwear, then used Kiss deep purple striper, and topped it with Kleancolor Chunky Holo Black. I really loved how this look came out. 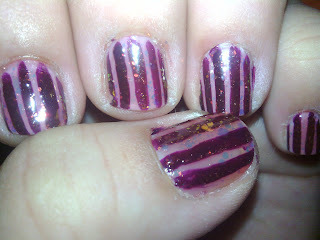 I know my stripes are not straight but there better than before! Hope you like them ! !